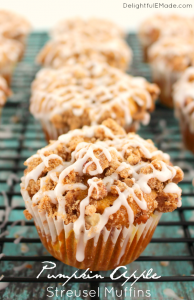 The ultimate fall breakfast! These Pumpkin Spice Waffles are great for a weekend brunch, and even better for freezing and toasting for an easy weekday breakfast. 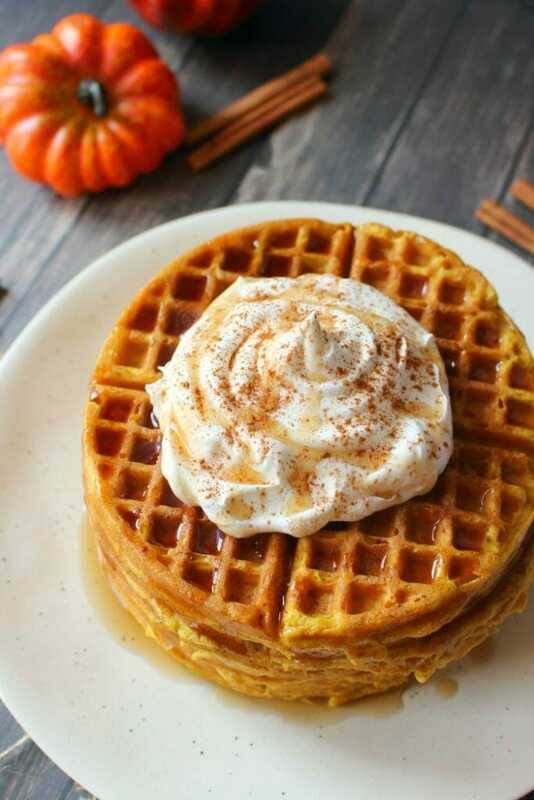 Made with simple ingredients, these delicious pumpkin waffles will be a new family favorite! This post contains affiliate links. Should you decide to purchase any product featured, I receive a very small portion of that purchase. Thank you! These Pumpkin Spice Waffles are a fantastic fall brunch recipe, and perfect for just about any weekend breakfast. 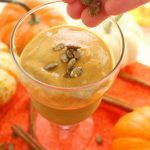 This delicious pumpkin waffle recipe is also perfect for freezing and toasting for a quick, weekday breakfast for your kids. If there is just one skill I can teach my son Harrison, it is to know how to cook. I’ve come across so many adults in my life that not only don’t know how to cook, but feel rather helpless in the kitchen. Because of this, they rely upon expensive prepared foods, and eating out at restaurants and fast food for many meals a week. This is not something that I want for my son. I want him to have the option to make fresh, healthy meals for himself and eventually for a family of his own. I want to provide him with the cooking skills that one needs to be able to easily prepare a meal whenever necessary. 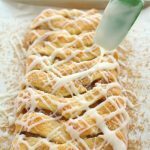 So, when my friend Tiffany Dahle, creator at the amazing blog Peanut Blossom published The Ultimate Kids Cookbook, I was incredibly excited and interested. 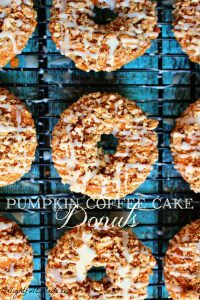 Tiffany has compiled a beautifully photographed cookbook that has amazing recipes for both parents and their kids to cook and create together. 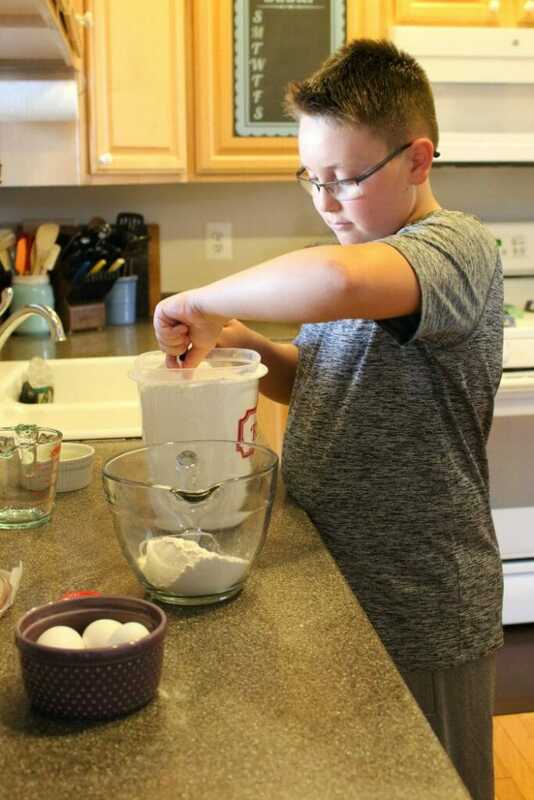 The recipes are written so that the kids have their designated instructions, and are able to create a fantastic recipe in tandem with their parent, grandparent or grown-up helper. As soon as the cookbook arrived, Harrison and started immediately flipping through all of the amazing recipes. 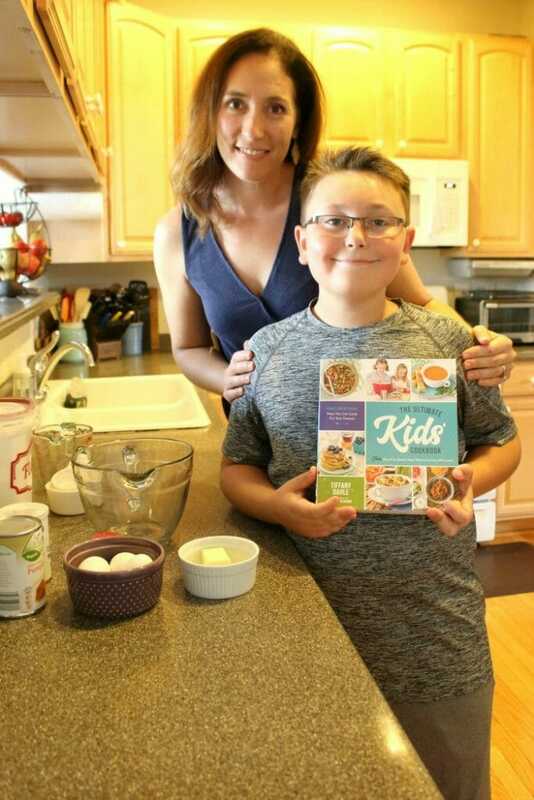 He was really excited that their was a cookbook not only written for kids, but that it had recipes that were interesting and easy for kids to complete from start to finish. 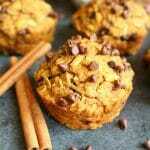 The recipes are approachable for kids of multiple ages and abilities, and are fun to make. 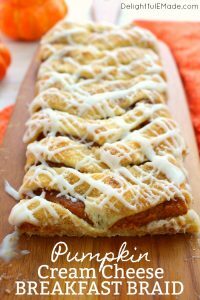 We decided that the first recipe we wanted to make together was the delicious pumpkin waffle recipe. Harrison has had some practice measuring dry ingredients, so this was a job he was ready to tackle right away. Measuring the flour required the dry measuring cups, and the baking soda, baking powder, salt and pumpkin pie spice required using the measuring spoons. 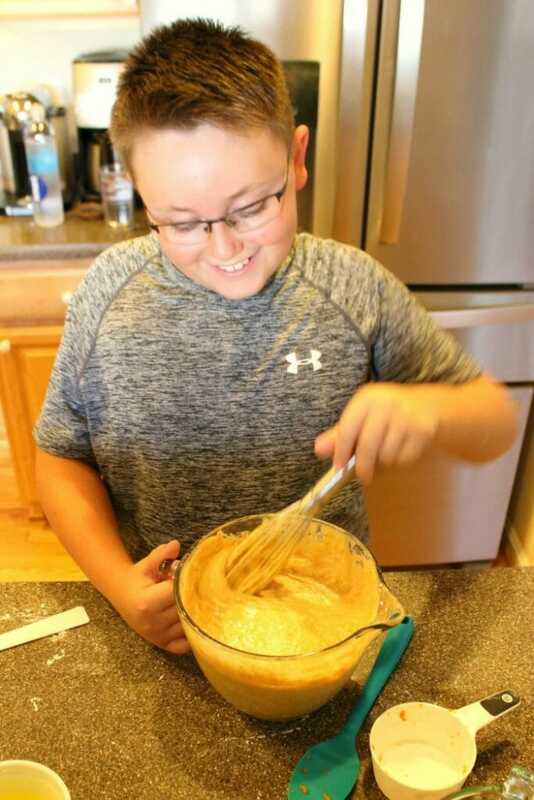 He also got some practice using a whisk for the dry ingredients, and once the buttermilk, pumpkin and butter was added he was able to mix the batter completely. 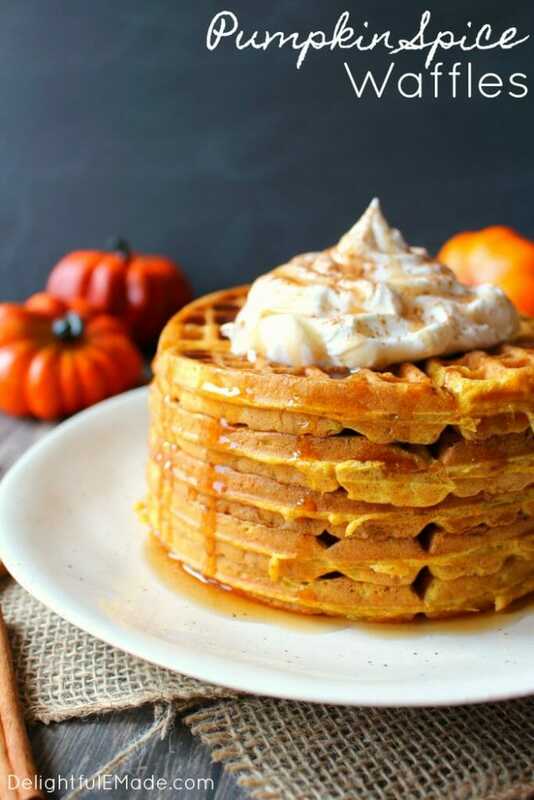 Note to parents: Expect things to get a little messy, especially when making these pumpkin spice waffles. It’s okay. Don’t get too worked up about your kids keeping things clean, especially if they are having fun and enjoying creating something with you. Yes, they should make sure to help clean up when finished. However, 0ne of the worst thing you can do is discourage or scold them, and then not have them want to come back to the kitchen. Remember, just like everything else, cooking takes practice. 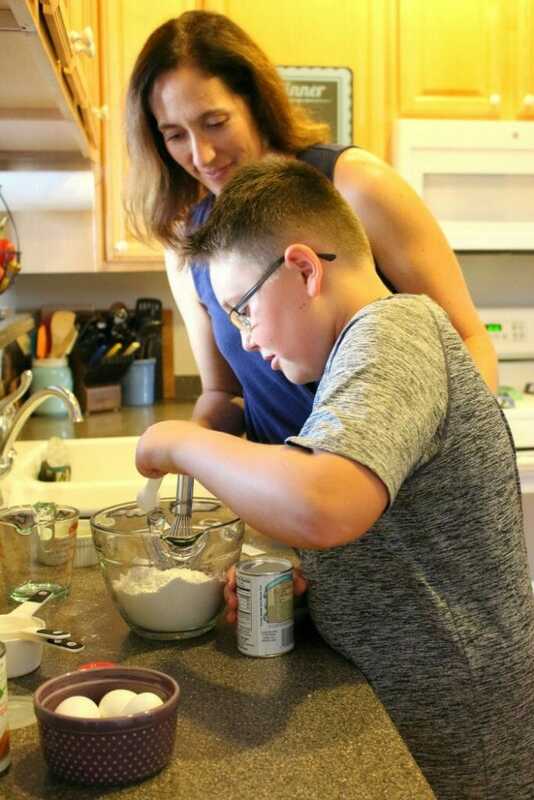 If your kids are half-way interested in cooking and being in the kitchen, the best thing you can do is just be by their side, help when necessary, and enjoy creating something together. Once the batter is ready, Harrison and I began ladling the batter onto the waffle iron. The waffles came out beautifully crisp and golden brown! If you have just a single waffle iron like I do, keep the waffles on a cookie sheet and place in a warm oven to keep them hot for serving. Because this recipe makes quite a few waffles (I have a round waffle iron, and this made 12 large, round waffles), freezing these waffles is ideal! For freezing, simply separate the waffles into a single layer in a resealable freezer-safe container. Separate each layer with a piece of waxed paper, and then stack. Taking out the frozen waffles is the perfect school-day breakfast that Harrison can easily make on his own. 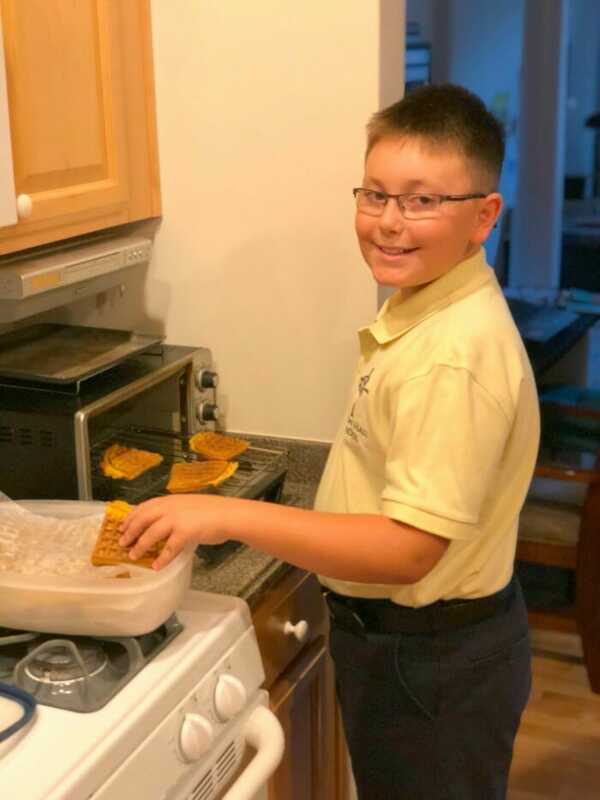 Here is Harrison making waffles for breakfast before school. Harrison knows to place the waffles into the toaster oven and toast for an easy breakfast. Show your child how to safely use a toaster oven, including where to locate tongs and potholders for proper safety. 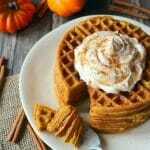 These pumpkin spice waffles are something that he can easily make on his own on a school day. I really love getting into the kitchen with my son. I hope you get the opportunity sometime soon to cook with your kids or grand kids sometime in the near future. Be sure to check out Tiffany’s book, The Ultimate Kids Cookbook. It’s a fantastic place to start, whether your kids are seasoned veterans in the kitchen or just beginning their cooking journey. Cooking with your kids is a wonderful place to not only teach them a valuable life skill, but come closer together as a family. Enjoy! 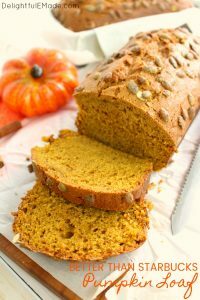 The ultimate fall breakfast! These Pumpkin Spice Waffles are great for a weekend brunch, and even better for freezing and toasting for an easy weekday breakfast. 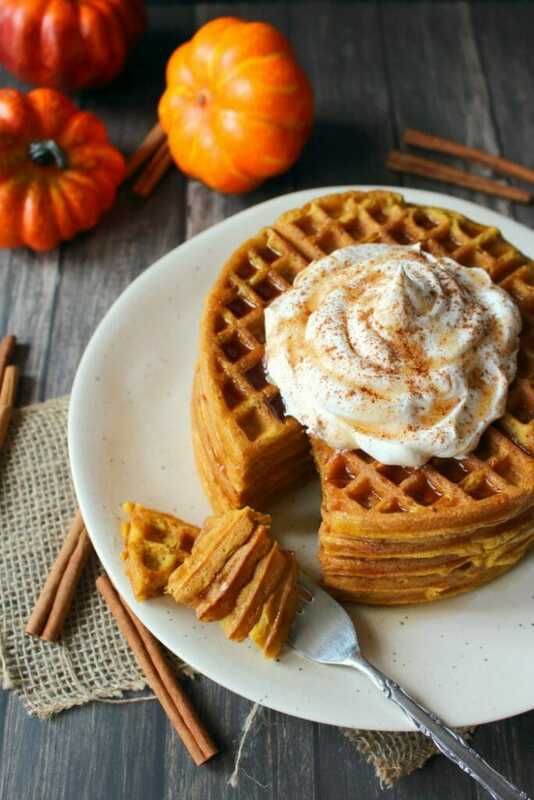 Made with simple ingredients, these delicious pumpkin waffles will be a new family favorite! 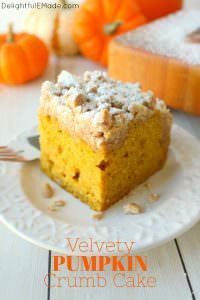 Recipe inspired by the Pumpkin Patch Waffles recipe, from The Ultimate Kids Cookbook, by Tiffany Dahle. In microwave safe bowl, melt the butter. Set aside to let cool slighly. 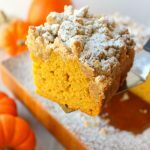 In a large mixing bowl, whisk together the all-purpose flour, brown sugar, baking powder, pumpkin pie spice, baking soda and salt. Whisk until well combined. Add the buttermilk, beaten eggs, and cooled melted butter to the dry ingredients. Whisk together until batter is smooth and well combined. Preheat a waffle iron, and lightly spray with non-stick spray. (Follow appropriate temperature cooking directions according to your waffle iron.) To the hot iron, ladle the batter on to the waffle iron, and cook according to machine directions. Square irons versus round irons may differ slightly. Keep waffles warm on a cookie sheet in a warm oven if desired. Serve right away while hot. 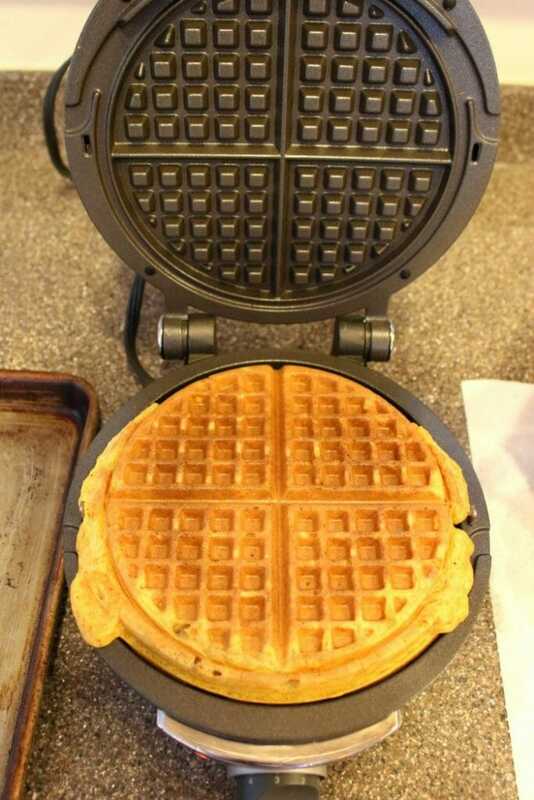 For freezing waffles, place individual waffles on a single layer in an airtight container. Separate layers of waffles with sheets of waxed paper. To reheat, simply place in toaster or toaster oven to desired crispness. 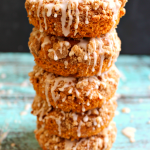 I love the pumpkin spice time of year! I'm a little bit behind but I wanted to make sure to check out your post - and thank you for joining the What's for dinner party. Have a wonderful weekend and hope to see you at tomorrow's party too!